The Workers’ Compensation Law Group at WilliamsMcCarthy LLP provides representation to employers, insurance carriers, self-insurers, and third-party administrators with respect to the defense of workers’ compensation and occupational disease claims. 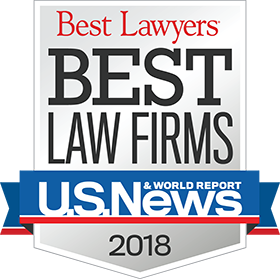 The Group is one of the largest and most experienced in our region and the Group’s attorneys are recognized as experts in a field of great importance to the business climate of the state. Over the years, the Group’s attorneys have represented management before the Illinois Industrial Commission, the Illinois Supreme Court, and the legislature in a wide range of matters, including challenging the scope of the Workers’ Compensation Act; vigorously resisting excessive awards; and defending claims related to job injuries and occupational accidents, occupational diseases and, temporary and permanent disabilities. Providing personalized, cost-effective legal services is the cornerstone of the Group’s practice. In addition to litigation services, the Group’s attorneys routinely counsel management with respect to risk management, return to work, work safety, employment, and third-party liability issues. The Group also regularly represents employers, third-party administrators, and insurance carriers with respect to the prosecution of workers’ compensation liens. The Group’s attorneys also provide consultation on insurance coverage disputes and assist in the coordination of claim investigations, which may include meetings with investigators, medical experts, and lay witnesses. Members of the Workers’ Compensation Law Group are active in the Illinois Bar Association and numerous industry associations. They routinely serve as speakers, moderators, and panel members at numerous insurance seminars and training associations.